This morning the Runsketeers took on the hills at SUNY Old Westbury for an energizing run on a cold morning. We also angered a priest, but I'll get to that later. SIOR, TPP and I (founding members of our prestigious running club) invited new members JC and KWL to today's group run. JC is Celia's coach and paramour and KWL is a good friend of mine who knows SIOR and TPP from our Brooklyn Half adventure. The plan was to meet in the parking lot of a church that is located diagonally across from the entrance to the Old Westbury campus. 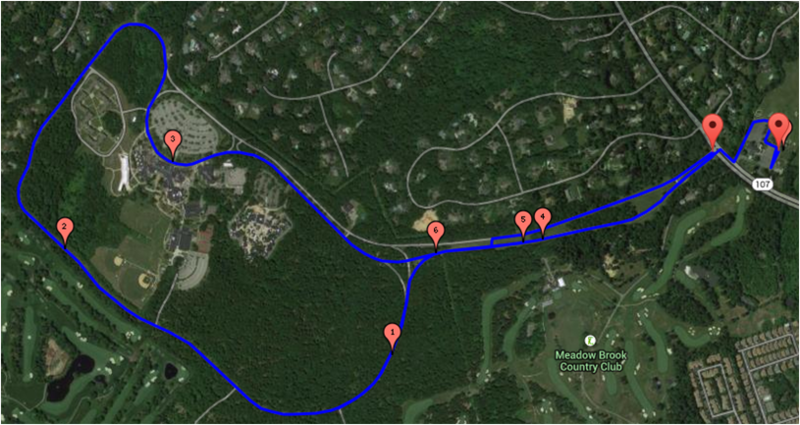 We'd then run the (approximately) four mile loop a couple of times. Eight miles was a little longer than I was aiming to cover today, so I figured I'd do my miles independently of the group and catch up with them at the end. It was great to see my friends since we haven't run together in a number of weeks. I was wearing my new Opedix Knee-Tecs for the first time and we discussed the increasingly high cost of good running tights. SIOR mentioned that the Knee-Tecs retail for $225 and JC said no running clothing is worth that much money. He may be right, but I liked the Opedix a lot and thought they provided great support, warmth and energy return. If I race again this winter, I'll be wearing them. We all started together, but soon split up when KWL and I crossed over to a road that had facing traffic. I don't like running with cars coming up from behind. We lost sight of the others when they continued on the northern side and followed the road in the other direction. The hills at Old Westbury are plentiful and a few seem to go on forever. KWL was a good sport and he followed my pace, even though he could have gone a lot faster. Despite the frequent hills, I was able to converse well with KWL and we caught up on a lot of things. As expected, we crossed paths with JC, TPP and SIOR who were running counter-clockwise during our first loop and again as they completed their second. At that point KWL joined the others so he could ramp up his speed. I continued on alone with a goal of covering 7 miles. I stayed on course and turned around at Store Hill Road and followed the drive back to Cedar Swamp Rd. I crossed the street and ran a loop around the church before returning to my car to wait for the others. Or should I say before not returning to my car. This is the part about the priest. As I made my way closer to where we parked, I saw a person walking around the cars and thought that my friends had beaten me back. I saw that the person was dressed in church vestments and he was putting flyers under our windshields. Being the brave soul that I am, I continued running instead of risking a scolding. In fairness, I was at 6.97 miles and wanted to make it to seven, so I had an excuse to continue. I ended up at 7.06. 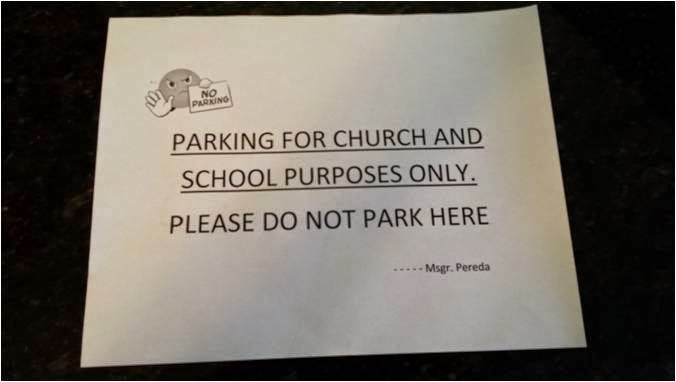 I completely understood that the church didn't want people taking up spaces in the lot. While I felt badly that we'd broken the rule, our four cars were the only ones in the lot. We weren't putting anyone out unless their hearts were set on parking in our particular spaces. But the message was received loud and clear and we plan to park at a lot within the SUNY campus next time. 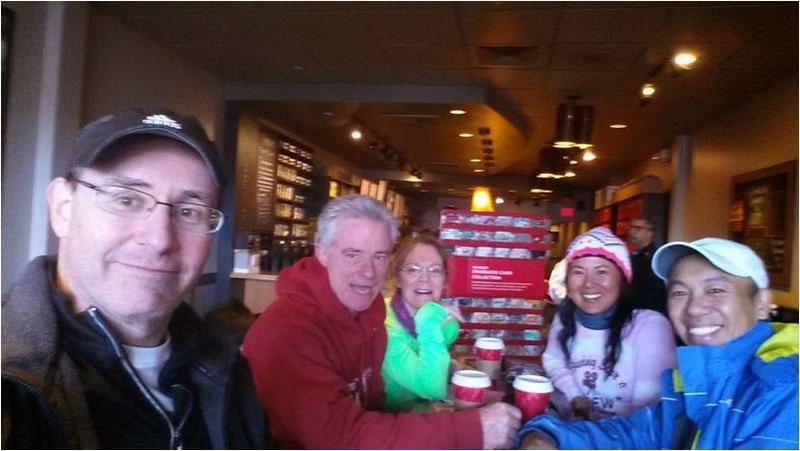 My friends eventually made it back to their cars and we headed over to the Starbucks near Whole Foods in Jericho. Since I wasn't able to run with everyone today, it was great to spend time relaxing over coffee. JC and KWL are both avid cyclists and triathletes and they compared notes on bike gear and races. The five of us had plenty to talk about. I loved the run, but I loved the post-run just as much. Running seven miles today was easier than I expected, even with the hills. Although KWL and I maintained a fairly easy pace, I still managed to stay in the 10:00 range overall. Since I've already completed 80% of my weekly volume I have a few options for tomorrow. I could go over to the track and run intervals or head to Stillwell for a change of pace on the trails. Even if I end up staying in the neighborhood on Sunday I can still say it's been an interesting week of running. i had a similar experience at huntington high school recently. went there for a lunchtime track workout, and just as i got to the gate, noticed a (new to me) sign posted that the public was banned from school grounds during school hours. it was cold, and there wasn't a soul on the track or fields. just as i turned to go back to my car, i got a scolding from the security guard. i curtly said, "yep, i just read the sign, thanks!" i guess some folks do take the "letter of the law" enforcement aspect of their jobs quite seriously. ah well. it's the only local hs i know of with such a rule. i eventually ended up at syosset hs, where at least there was a cheerful group of ladies walking & chatting in the outer lanes. I can understand the reason why a HS would restrict the public from school grounds for safety reasons, but there's no reason to be rude about it. Syosset HS is my primary venue for intervals, although I usually go there early on weekend mornings. It's a good track, but the wind makes for uncomfortable conditions during cold winter days. yeah, huntington hs has had some issues with crime over the years- i take it that's why the security guard. i usually run a cold spring harbor track, but i know the phys ed schedule by heart now, and i knew the track would be in use there that day. i just wish it could be more of a "common sense" thing, tho, and people could use the track/field if there weren't any school activities going on. i've never had a problem at cshhs, syosset, or even northport hs (which gets really busy w/public users). 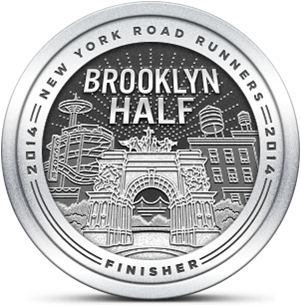 I ran with my buddies at a middle school track in Rockville Center a few months ago. No security guard there and lots of public users. That was on weekend though. It's likely different during the week.